Mumbai: BSE listed company Suditi Industries Ltd. has bagged the official apparel licensing right of legendary football clubs Real Madrid, FC Barcelona and Manchester City, representing it in India. This partnership has taken place under the direction of Viacom18 for FC Barcelona and Bradford License India for Manchester City FC. With this deal, Suditi Industries Ltd. acquired the rights to manufacture and market the fashion apparel that will surely be favoured by the football fans as well as casual-wear lovers across the country and encourage them to celebrate their passion for the game. As a part of this deal, Suditi Industries Ltd will design and manufacture licensed clothing line that will include categories like t-shirt, sweatshirts, polo's, jackets, track pants, boxers for men. For FC Barcelona, an exclusive line with digitalised signatures of Barca players like Lionel Messi, Neymar, Andres Iniesta and Luis Suarez will be presented and a special FCB kids line. Pawan Agarwal, Chairman and Managing Director, Suditi Industries Ltd said, "It's pleasing to have acquired the apparel licensing rights for world renowned clubs like Real Madrid C.F., FC Barcelona and Manchester City FC. Our partnership with these clubs' represents a great opportunity for us as well as strengthens our commercial connections and our position in sports merchandising segment. And we believe that the collection presented will definitely attract the club supporters like never before." Animesh Maheshwari, Retail head at Suditi Industries Ltd stated, "We are glad and honored to be associated with top ranking football clubs and we look forward to build a strong relationship with them and their fans in India. 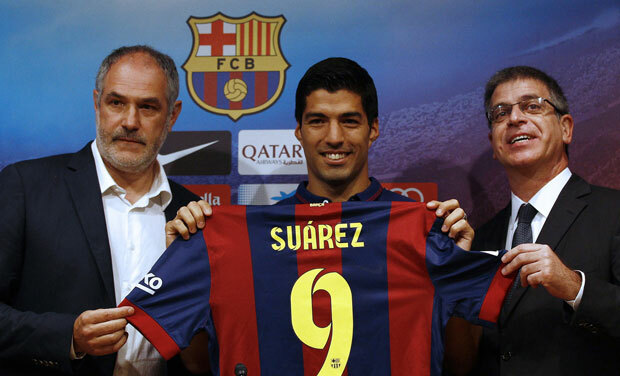 We are confident that this partnership will prove to be successful for us as well as the clubs." These football merchandises and apparels will be available at the major departmental stores, large format stores, MBO's, Riot stores along with leading e-commerce portals.